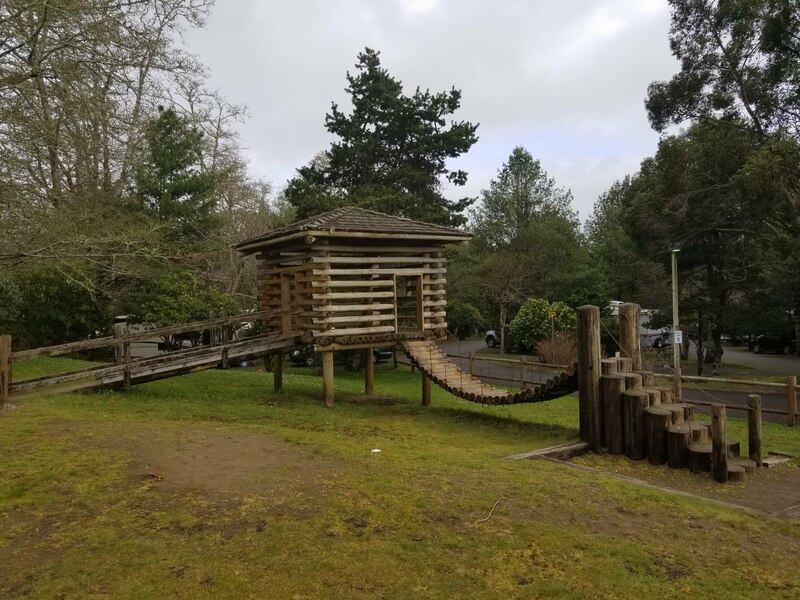 We recently camped at Astoria/Warrenton/Seaside KOA Resort. 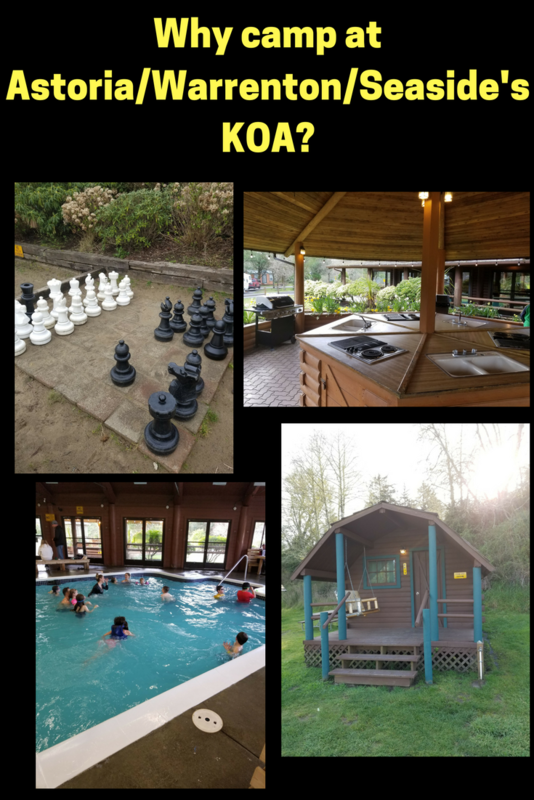 Have you ever stayed at a KOA? Did you know you don't have to be a member to stay at a KOA? This was our first trip to one, so all I knew was to expect an upgraded campground. I'm a huge fan of camping, but the type of camping where there's a bathroom, and a source for drinking water. The KOA was everything I hoped for, more like glamping. 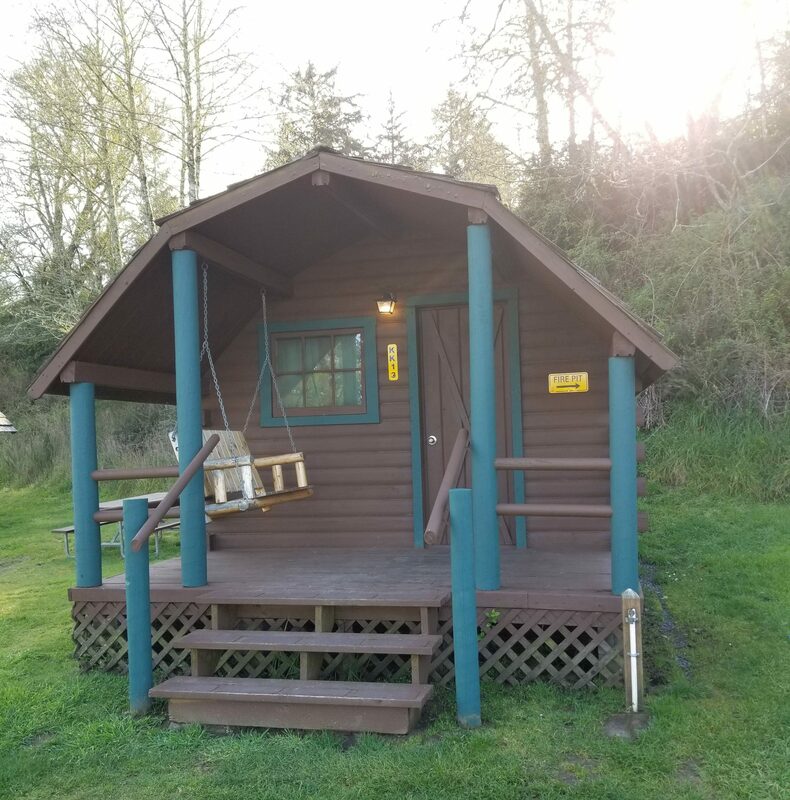 It had great bathrooms, lots of things to keep my family occupied, we got to experience almost all of the KOA before having to cut our trip short because of awful weather the PNW gave us! But we'll be back within the next couple years, during the summer months. KOA Journey are the perfect oases after a day on the road. Whether it’s along the way or a quick getaway, they’ve got you covered. Located near the highways and byways of North America with long Pull-thru RV Sites, they deliver convenience to the traveling camper. Pull in, ease back and take a load off. KOA Holiday are an ideal place to relax and play. There’s plenty to do, with amenities and services to make your stay memorable. Plus, you’ll enjoy the outdoor experience with upgraded RV Sites with KOA Patios™ and Deluxe Cabins with full baths for camping in comfort. Bring your family, bring your friends, or bring the whole group – there’s plenty of ways to stay and explore. KOA Resorts offer a carefree vacation in the great outdoors. Enjoy robust recreation and staff-led activities, kick back and relax by the resort-style pool, or grab a bit to eat, all while never leaving the campground. And with plenty of RV Sites with KOA Patios and Deluxe Cabins with full baths to meet your needs, it’s the ultimate camping getaway. 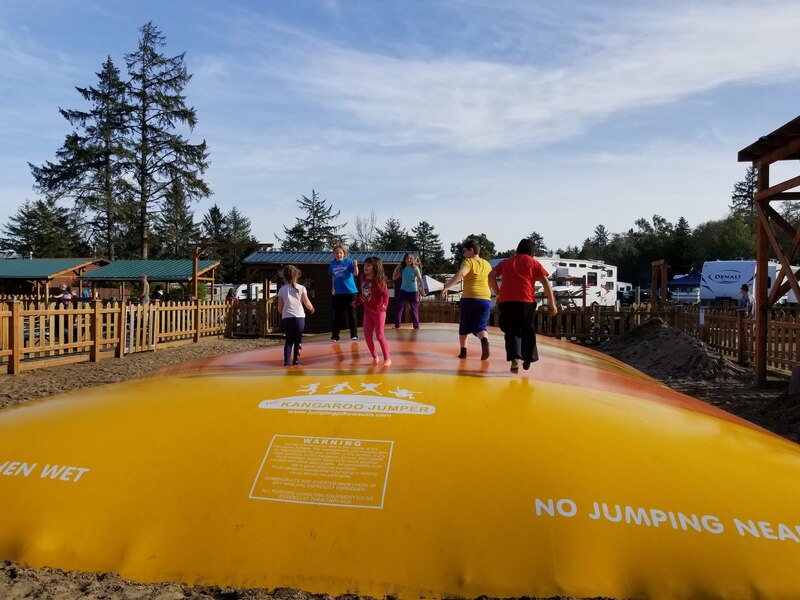 The Astoria/Warrenton/Seaside KOA is a Resort campground and is a perfect place for you and your family to easily spend a week or just a weekend at, and is perfect for the person who's not a fan of camping. Many different sites to choose from, some close to all the amenities and some further out and more secluded. RV sites, tent sites and standard or deluxe cabins equipped with air conditioning and full bathrooms. Very clean campground with accommodating staff. I'd feel safe camping here alone with the kids. Definitely the nicest campground bathroom I've ever been to. The showers were free and stocked with soaps!! In the same building as the bathrooms were washer and dryers. Outdoor(seasonal) and indoor pool and hot tub was really great to be able to have something fun to do with the awful weather. They also have a bouncy pillow, mini golf, disc golf, two playgrounds, large chess game, rental bikes. Game room but we found it was taken over by unaccompanied teens. They do have themed weekends, which you could love or hate. Like our trip we found out 2 days in advanced that the KOA was a location for color the coast event so it had more of a crowd at the campground, it wouldn't of been so bad if we didn't have horrible weather and everyone hanging out in the indoor things. 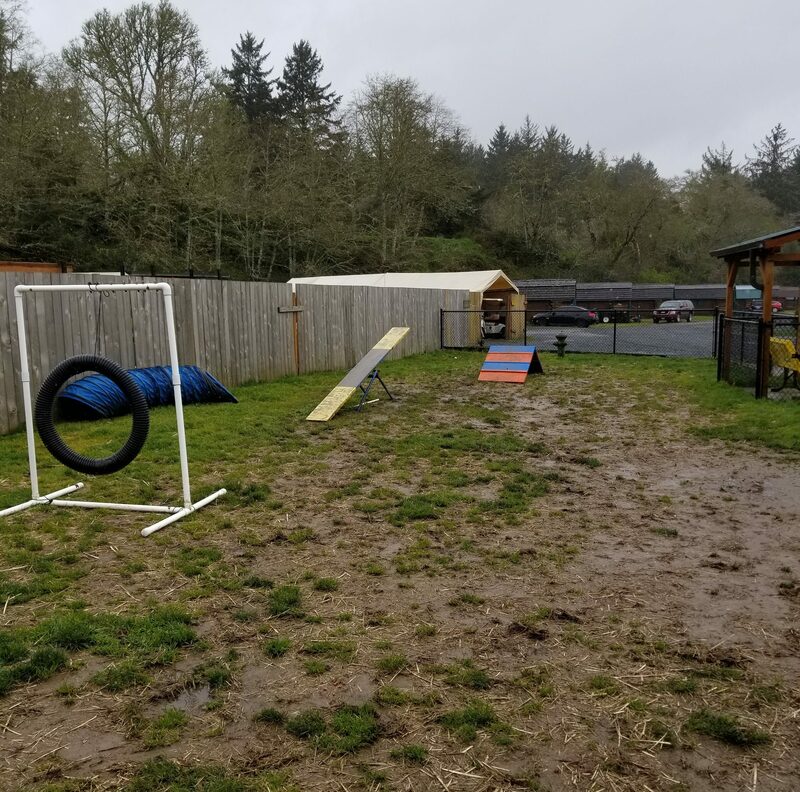 They have an awesome fenced in dog park and doggy bags throughout the campground. You will see a lot of dogs and make sure you check the rules before you go as they don't accept certain breads. Keep in mind it's along the coast in the PNW so most of the year it rains. If you're camping during the winter they do have some fun indoor amenities, but like I mentioned above if they have a big event then the indoor things will get crowded so you may want to contact them to ask. But I did notice it didn't really get flooded, the dog park was a little muddy but that seemed to be it. Now this KOA would be an amazing camping trip during the summer or even late spring/early fall, just get your reservation in early. There is a little store with a few supplies, foods and souvenirs right where you check it. 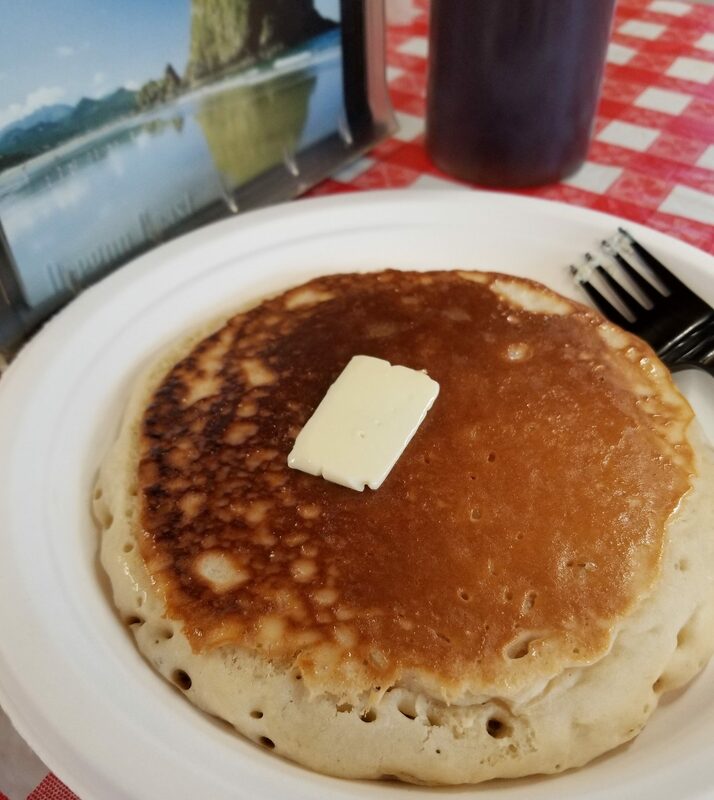 And the Forrester's Cafe serves breakfast, lunch and dinner and other foods open daily except during off season(November 1- April 1). This campground is truly perfect for families and/or anyone who wants to camp without having to rough it. We can't wait to visit again during the summer months. And also check out other KOA's in our area. Do you have a favorite KOA? PS. 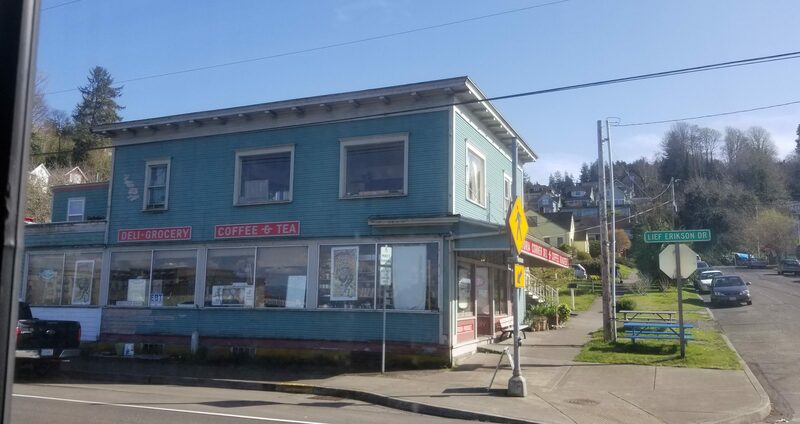 If you camp here you can drive into the town of Astoria and visit the Goonies film locations.